In an attempt to reinforce the momentum in their bilateral relationship, Pakistan and Malaysia signed a crucial agreement on Monday. The two nations signed a memorandum of understanding (MoU) on the partial abolition of visa requirements. Malaysian Home Minister Tan Sri Dato Haji Muhyiddin and Pakistan Foreign Minister Shah Mehmood Qureshi signed the agreement in the presence of Malaysian Prime Minister Mahathir Mohamad and Pakistan PM Imran Khan. In addition to the visa agreement, the two countries also signed other MoUs in diverse fields to boost bilateral relations. Khan is on a two-day official visit to Malaysia. He is accompanied by Finance Minister Asad Umar, Information Minister Shah Mehmood Qureshi, FM Qureshi and other members of the cabinet. In a joint press conference with his Malaysian counterpart, Khan said Malaysia’s economic development model is an inspiration. “We have followed Malaysia’s progress since you came into office. We want to learn from your experience, how you transformed the economy and developed it, how you raised the per capita income and gross domestic product,” he said. The PM also said Pakistan has massive untapped tourism potential and wishes to develop it the same way Malaysia has. Further, the leaders stressed the importance of visits on all levels to deepen their countries’ commerce and business relationships. “We will look at Malaysia and how it has progressed to bolster our tourism and other departments,” Khan said, according to Geo.tv. Pakistan also expressed its intentions of greater collaboration between the high-tech industries in the two countries. Malaysia invited Pakistani companies in the manufacturing and services sectors to invest and leverage Malaysia’s strategic location to expand their business in the Association of Southeast Asian Nations (ASEAN) and the Asia Pacific regions. Pakistan also invited Malaysian companies to invest in its Special Economic Zones and leverage its strategic location. The two countries also established a bilateral consultation between the foreign ministers as a way to boost engagements. The first bilateral consultation will be convened in Islamabad next year. PM Mahathir reaffirmed his country’s commitment to help Pakistan meet its energy requirements. 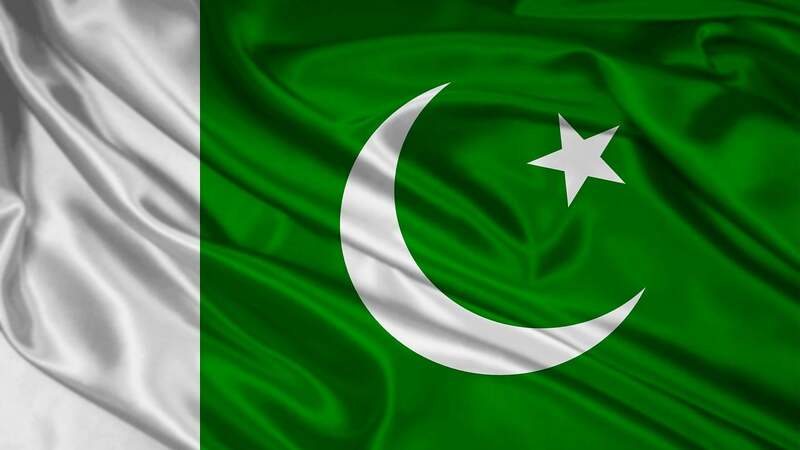 This commitment is part of the Inter-Governmental Agreement on Liquefied Natural Gas (LNG), which Pakistan and Malaysia signed in November 2017. Khan also welcomed Malaysia’s cooperation in the LNG and other energy sectors. He has invited the Malaysian PM to be the chief guest at next year’s Pakistan Day, which is on March 23. Both also stressed the importance of the MoU on Defense Cooperation. Kuala Lumpur will host the 13th Joint Committee on Defense Cooperation (JCDC) in 2019. Malaysia also invited Pakistan for the Langkawi International Maritime and Aerospace Exhibition (LIMA) next year. The two countries also agreed to improve educational ties, and leaders from both nations believe close cooperation on education and training are a must. PM Mahathir, who served as Malaysia’s premier from 1981 to 2003, came into power again this year. He replaces Najib Razak, who is facing a corruption investigation. Khan stressed the importance of curbing corruption. According to him, curbing corruption is a priority for both nations. Further, he said his government would not let go of anyone found to be involved in corruption and money laundering. “Trials will be held against the corrupt elements and they will be put into jails,” he said. He also visited the Malaysian Anti-Corruption Commission (MACC) on Wednesday. The growing China-linked sovereign debt was a major issue in the elections in both countries this year. PM Mahathir canceled about $22 billion worth of Chinese projects, citing them as unnecessary and expensive. Malaysia’s backing comes at a good time for Pakistan, which has requested an $8 billion bailout package from the International Monetary Fund to avert the financial crisis it faces. However, as a precondition, the IMF is requiring complete disclosure of Pakistan’s financial support from China, which Islamabad would find it hard to provide without risking its relationship with Beijing.